A grand jury indicted Texas Gov. Rick Perry on Friday for allegedly abusing the powers of his office by carrying out a threat to veto funding for state prosecutors investigating public corruption — making the possible 2016 presidential hopeful his state's first indicted governor in nearly a century. 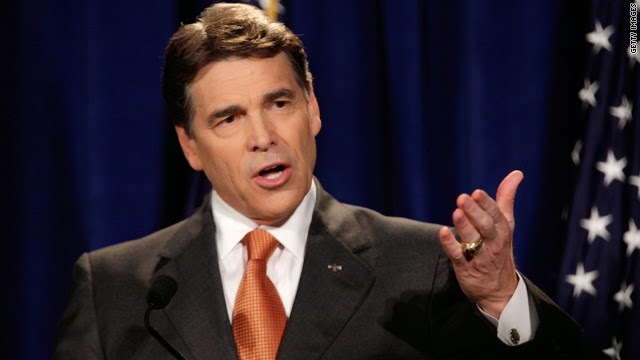 A special prosecutor spent months calling witnesses and presenting evidence that Perry broke the law when he promised publicly to nix $7.5 million over two years for the public integrity unit run by the office of Travis County District Attorney Rosemary Lehmberg. Lehmberg, a Democrat, was convicted of drunken driving, but refused Perry's calls to resign. Though the Republican governor now faces two felony indictments, politics dominates the case. Lehmberg is based in Austin, which is heavily Democratic, in contrast to most of the rest of fiercely conservative Texas. The grand jury was comprised of Austin-area residents.